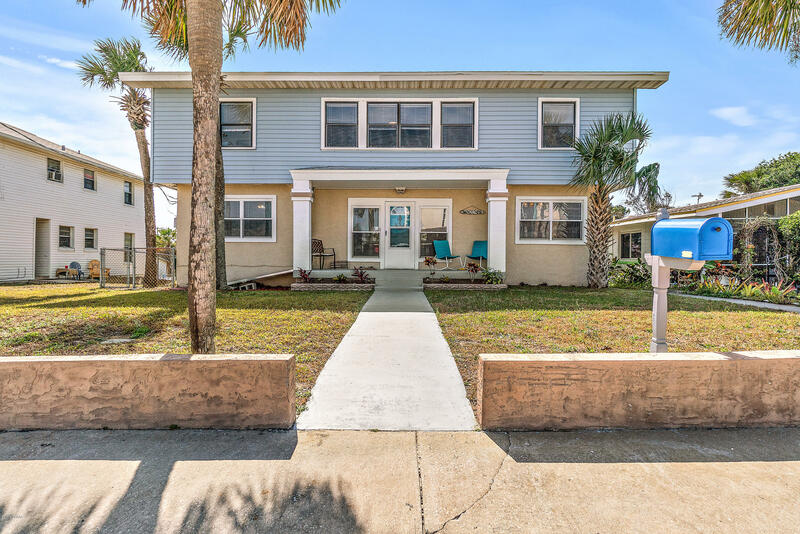 Beautiful beachside home 1/2 block to the ocean with a peek aboo view from front windows upper floor. This spacious home provides many options consisting of a possiblity of a 5 th bedroom if closet installed , ( plenty of room ) beautiful social room in center of bedrooms in upper level. Spacious decking entertainment area off family room downstairs. Truly a home for entertaiing guests and family. Great kitchen and separate dining area. Oversized 2 car garage on this 1/4 acre lot with ample parking for boat/trailer/motorhome. Not to mention the basement unit with full bath perfect guest quarters. Newer carpet, refinished floors, 2014 , roof, h/w utility shed attached to garage with 60gal us general compressor. Home has a transferable home warranty. May be sold furnished. 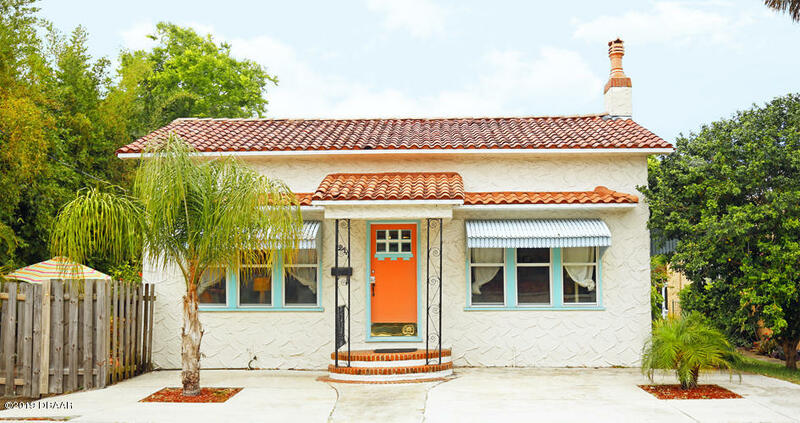 Beachside pool home lovingly crafted in 1925 with modern amenities & super location! Brand new ac system april 2019!! But wait. There's more: 3 generous sized bedrooms, 2 full baths, huge updated kitchen with granite counters, large dining area, real original hardwood floors, living room with soaring 11 foot ceilings, rock fireplace, tile roof, outdoor entertaining area in addition to private pool deck, basement garage with lots of storage in rear of garage. Lot is completely privacy fenced accented with tropical landscaping. This true tropical paradise awaits you, your family & your friends! Ez 2 sea! Investor alert! 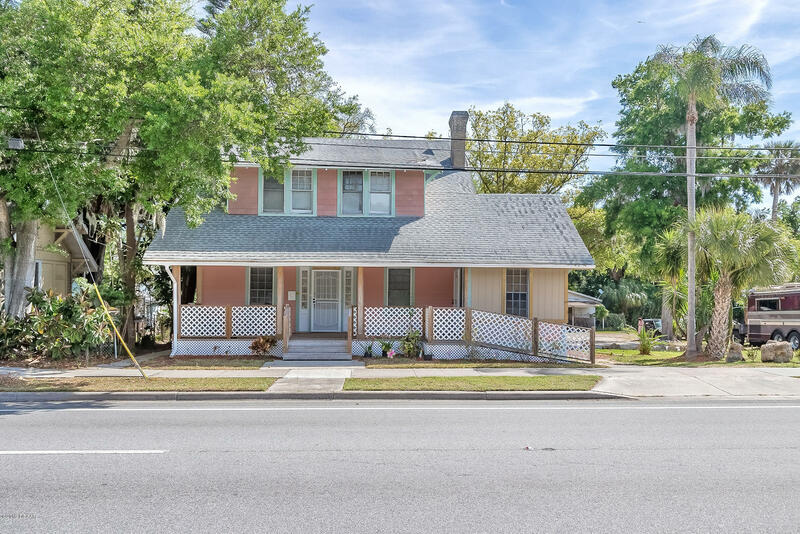 This beautiful victorian home sits on a double lot! Separate deed for 2nd lot but included. Two porches overlooking the spacious back yard. Updated electric and plumbing, which as you know in this area is a huge bonusmain roof is 11 years. The other was put on 3 years ago. 4 ton ac only 4 years old. This is also zoned for commercial use as well. The down stairs (basement) is just waiting to be converted into a in-law suite or whatever you want with an updated full bath. So much more to tell but best come check out because at this price it won't be there long!